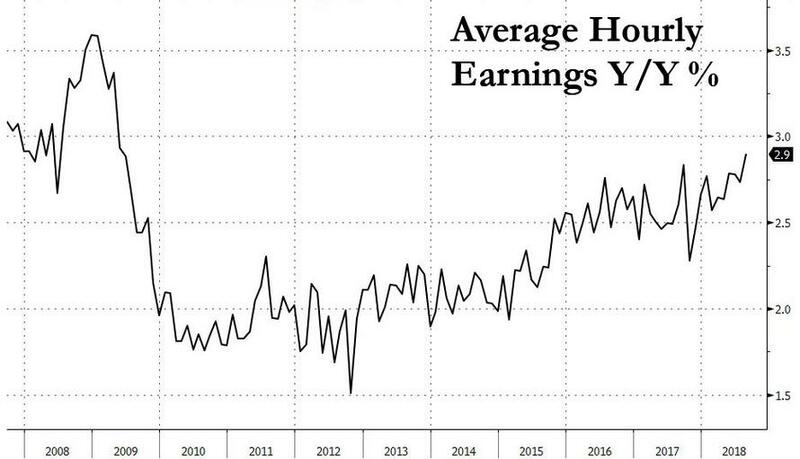 The stock market hiccuped, and bond yields spiked on Friday after the latest jobs report showed that the Phillips curve is finally coming back to life as average hourly earnings spiked, rising by double the expected 0.2% M/M, and posting a 2.9% increase annually, the highest since the financial crisis. 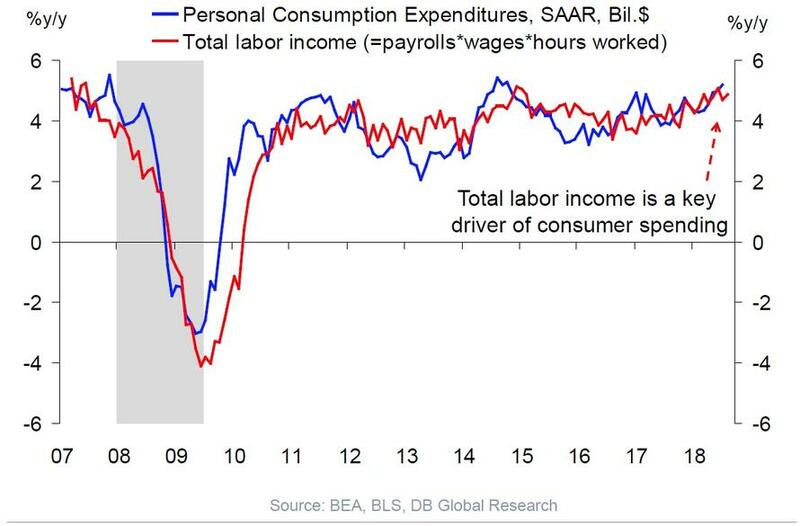 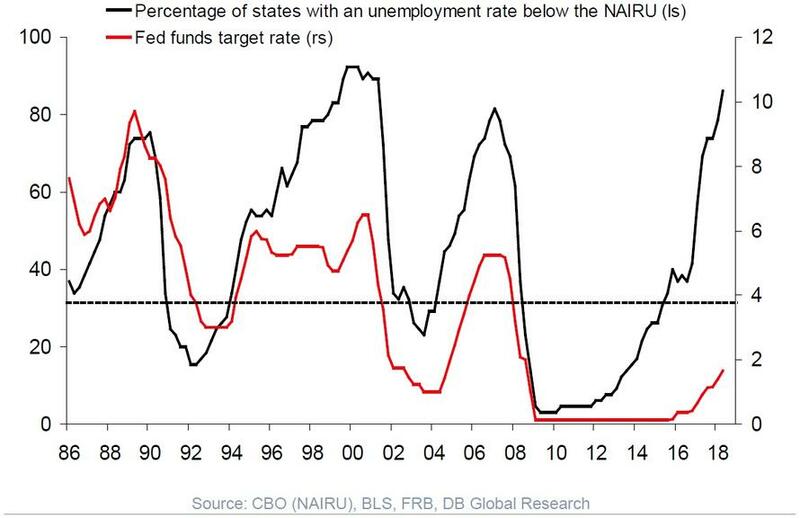 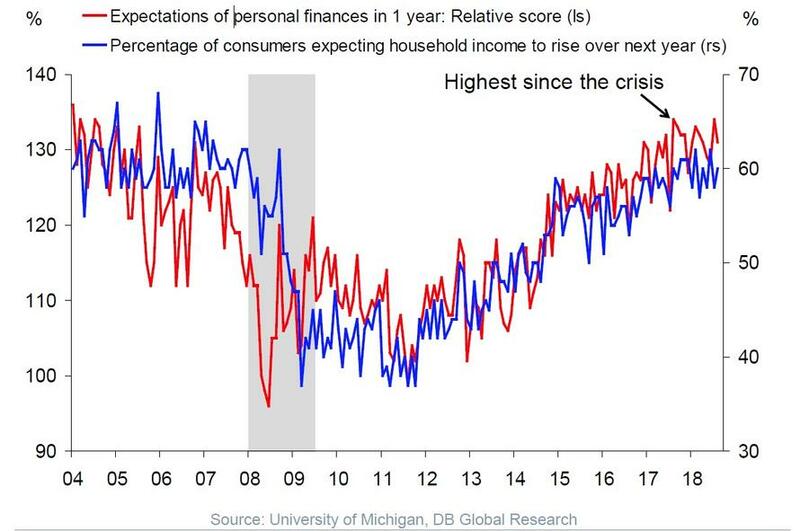 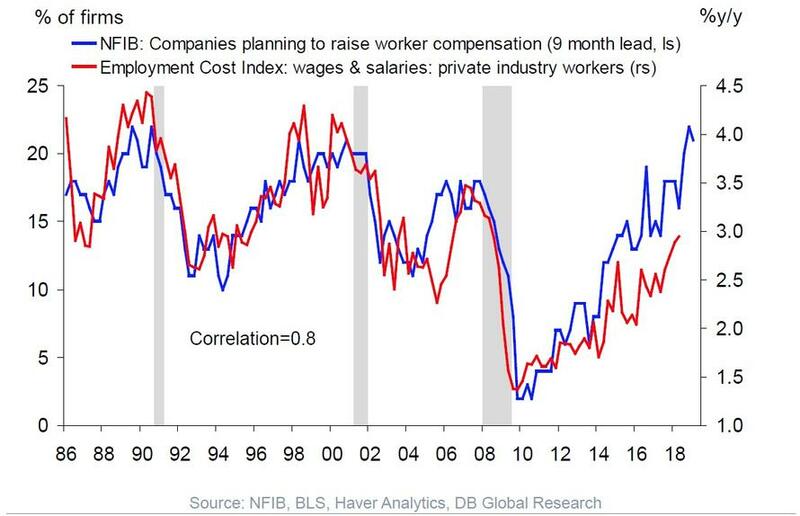 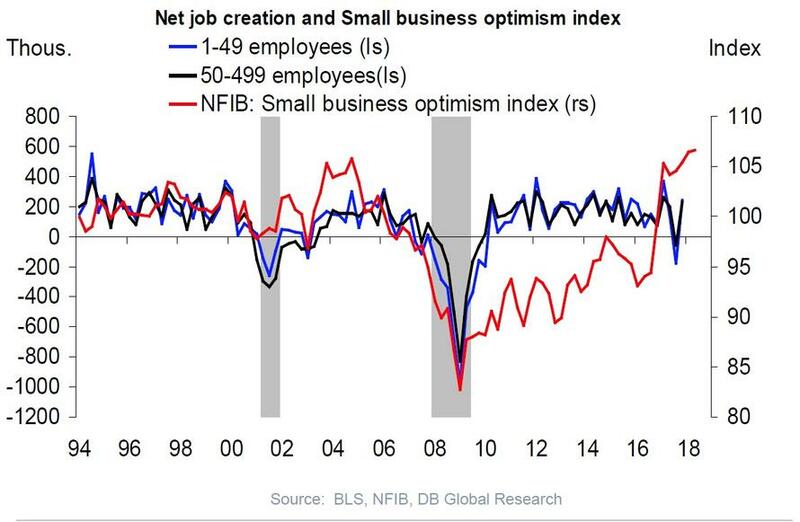 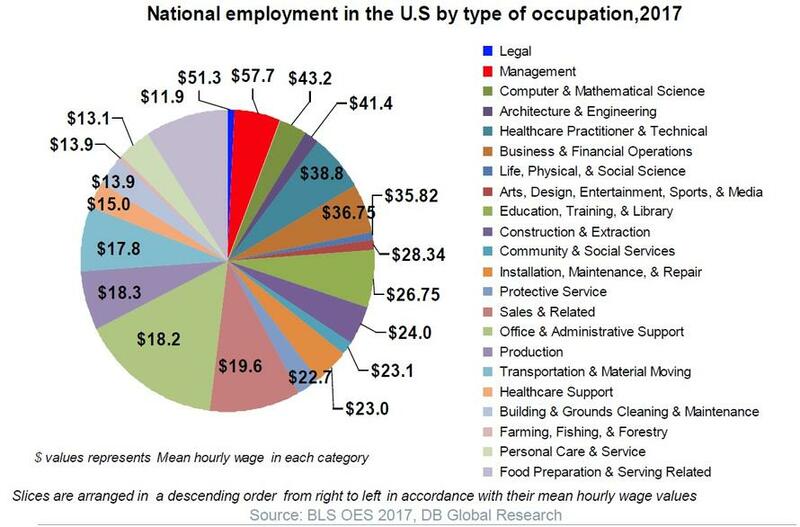 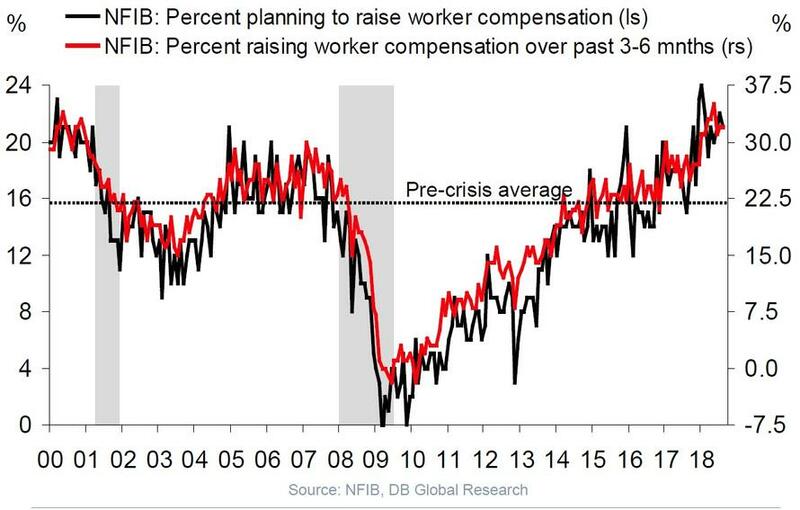 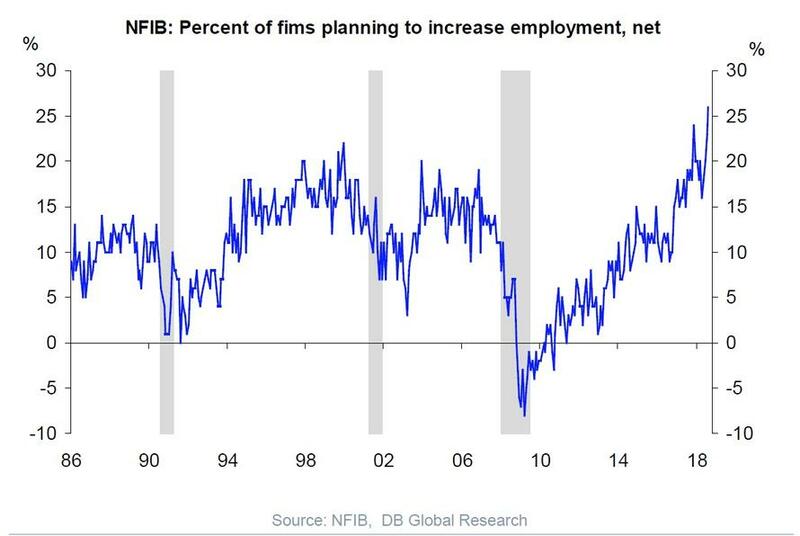 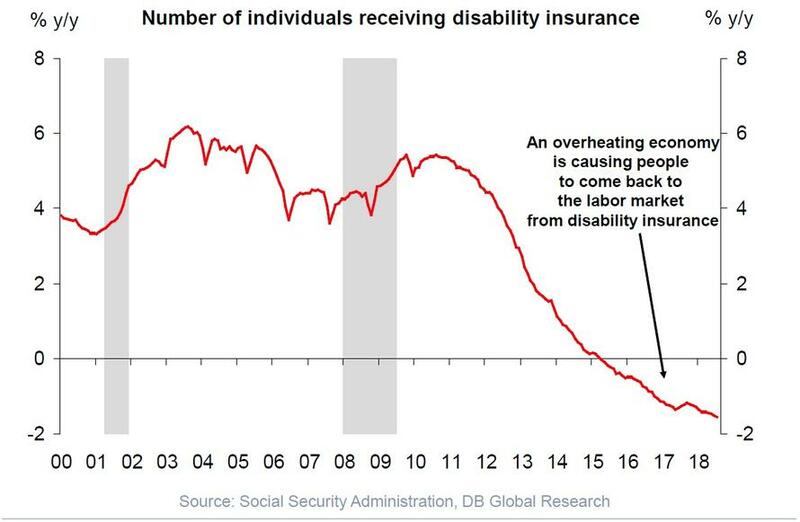 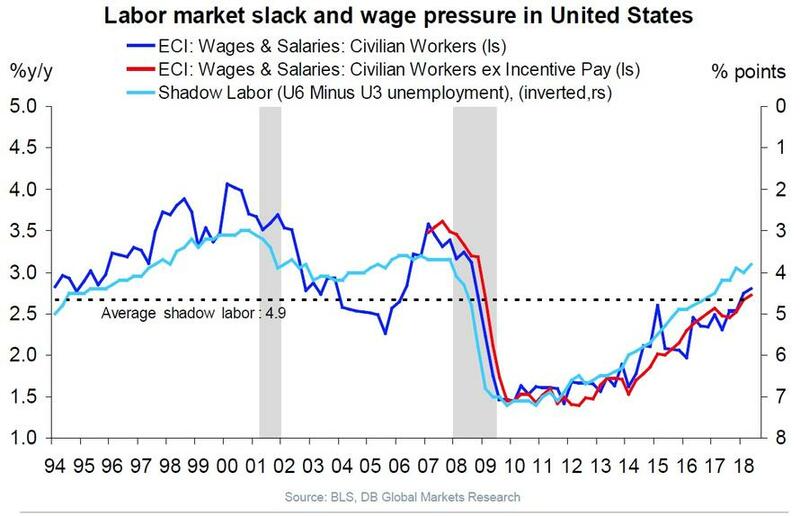 This in turn has further entrenched the view that the Fed may be falling further behind the jobs and inflation curve - and will be forced to raise rates longer and higher than the market expects - as the US labor market is starting to overheat in earnest. 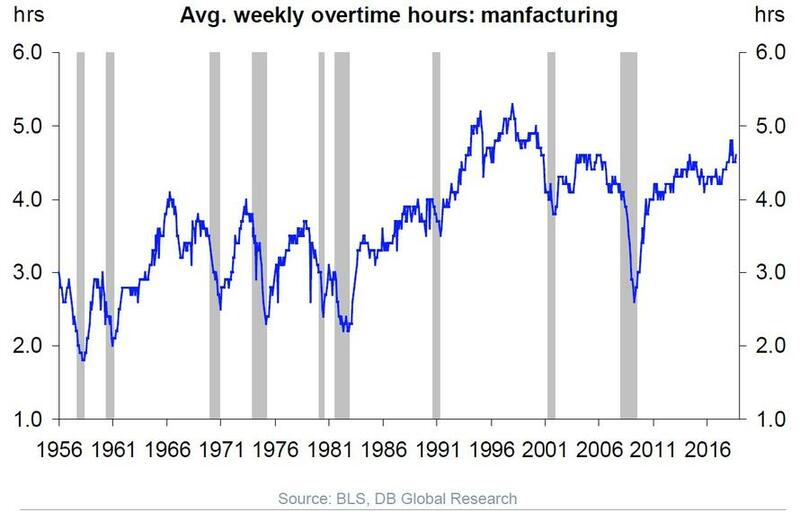 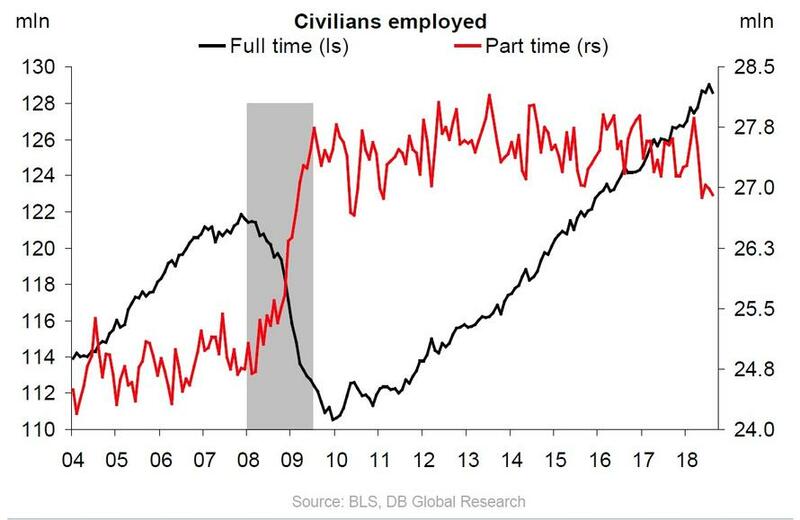 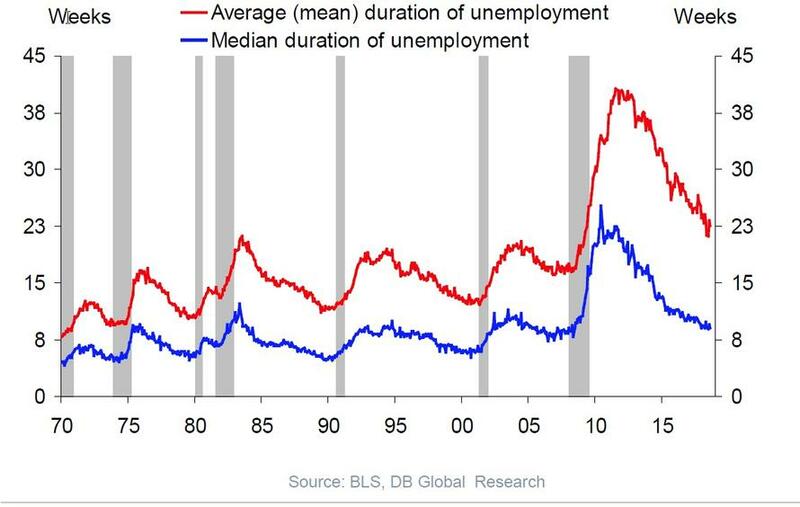 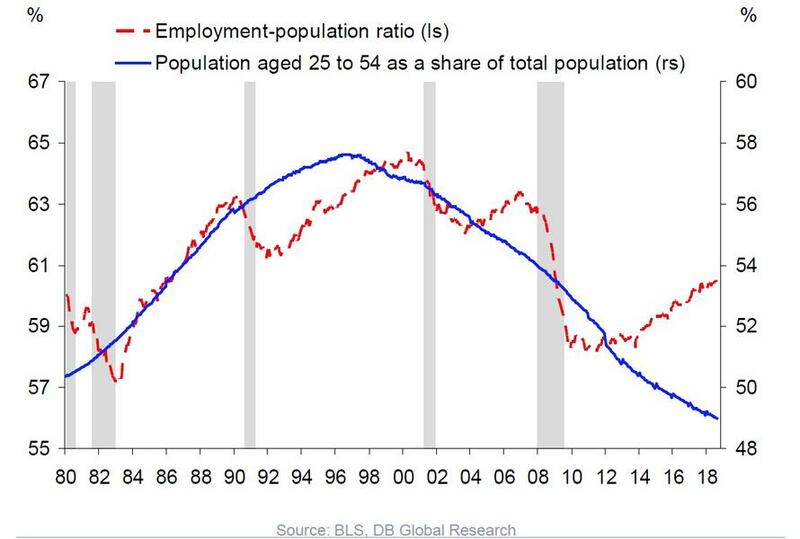 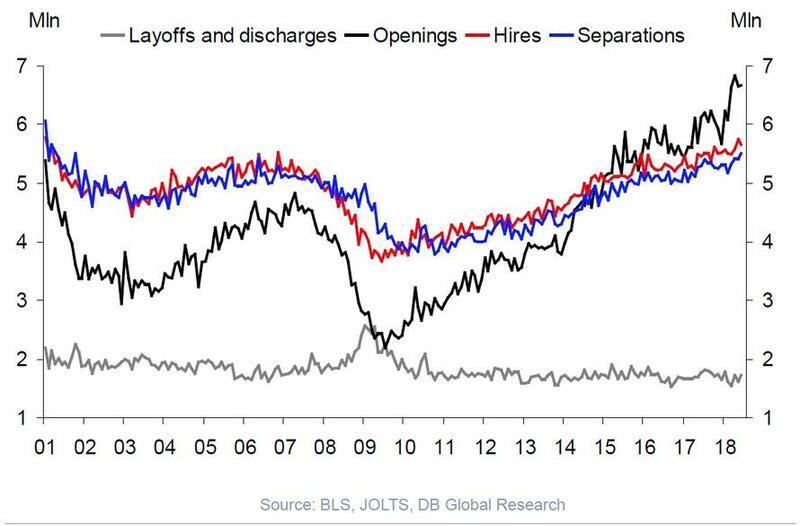 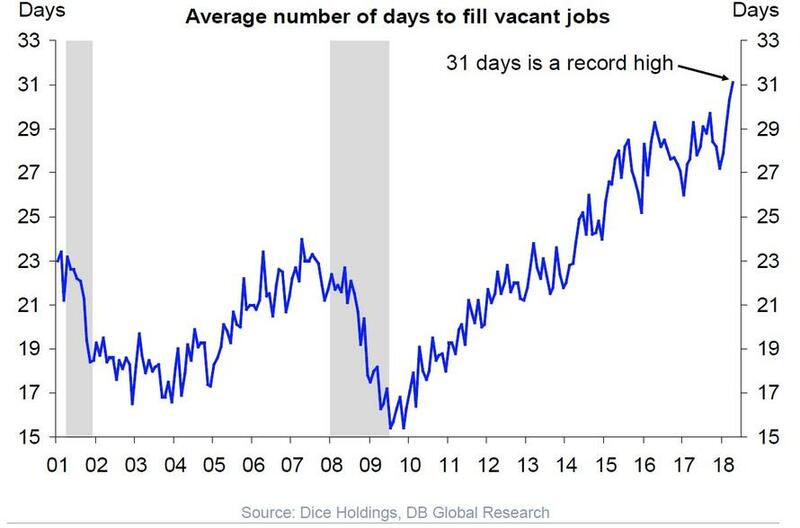 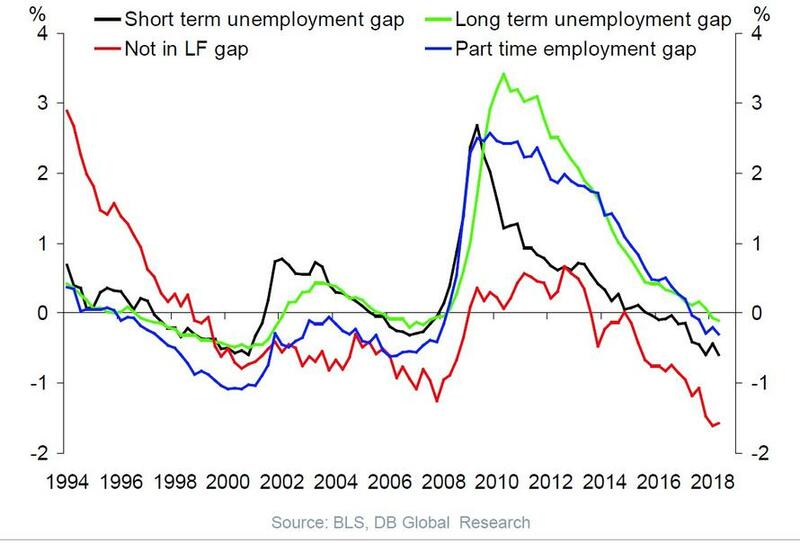 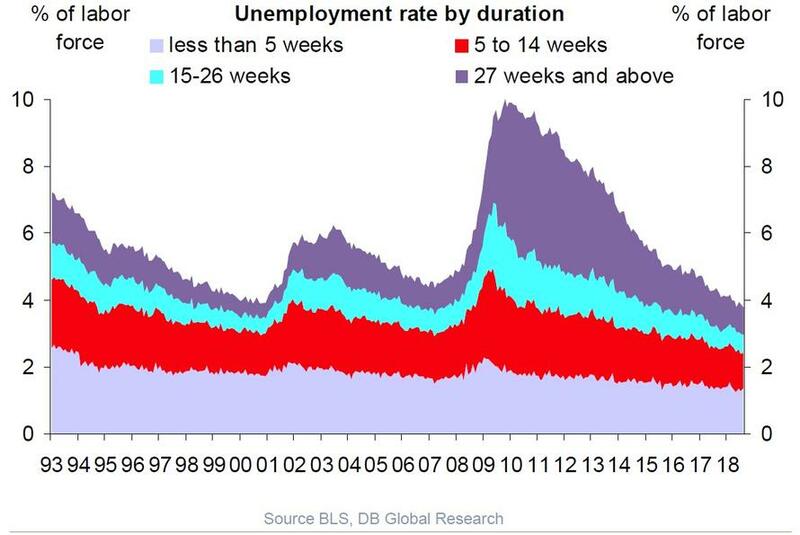 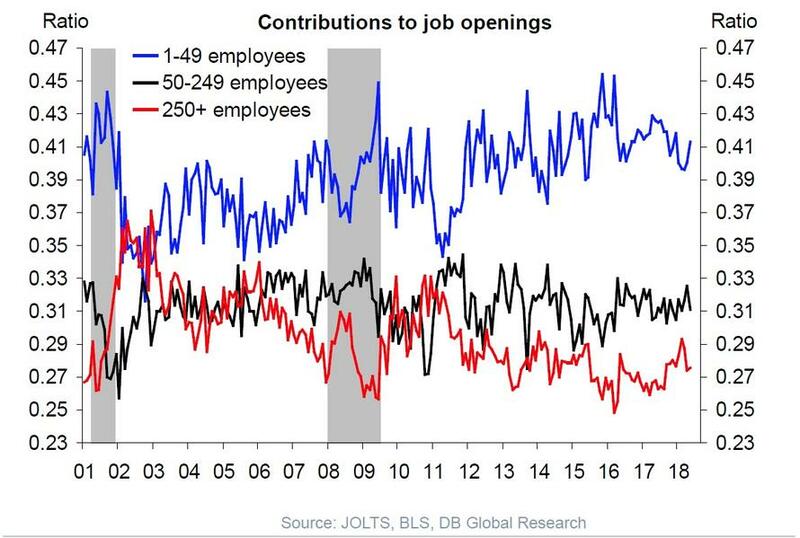 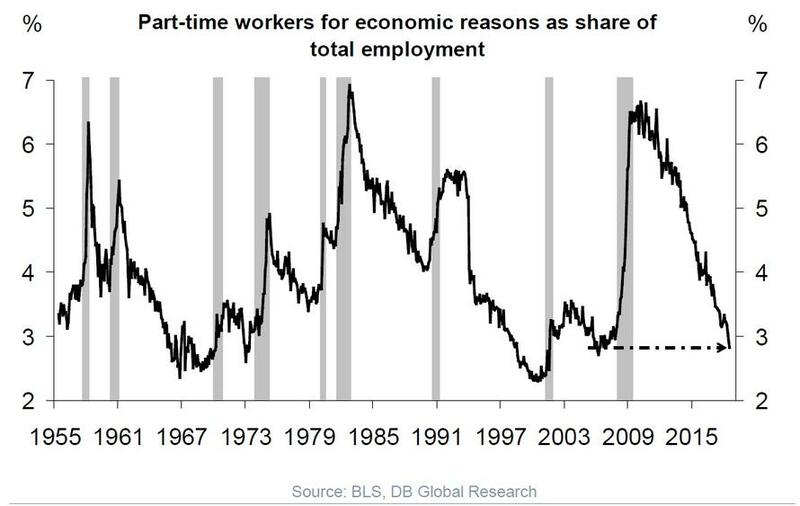 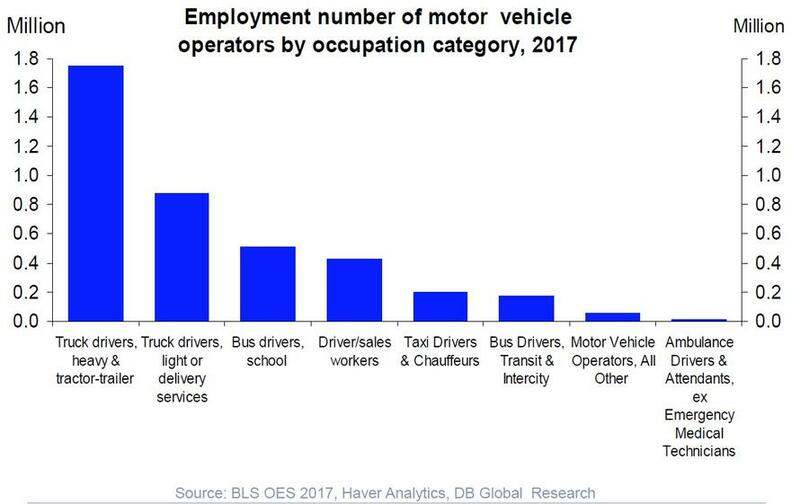 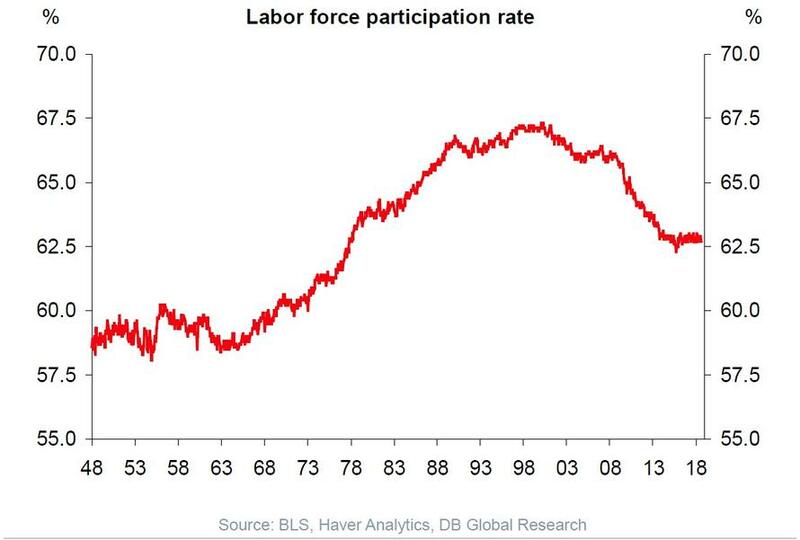 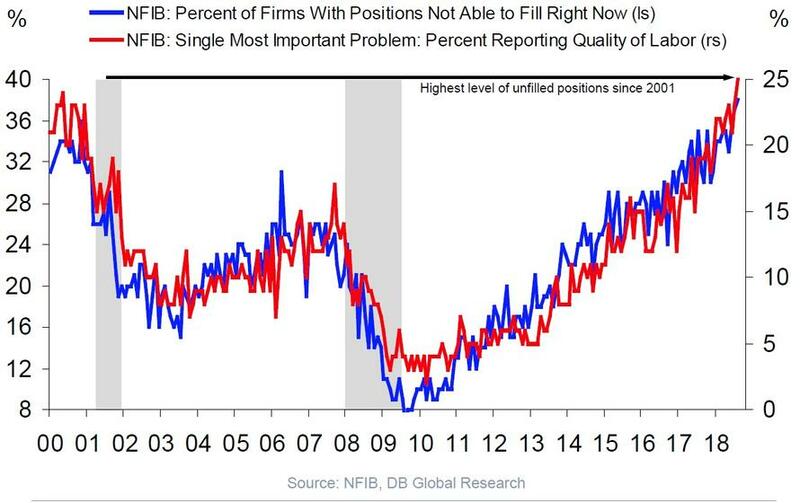 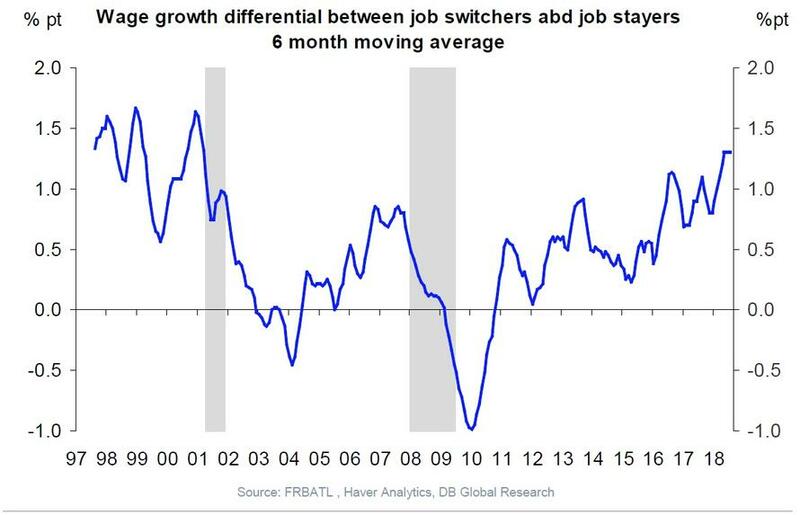 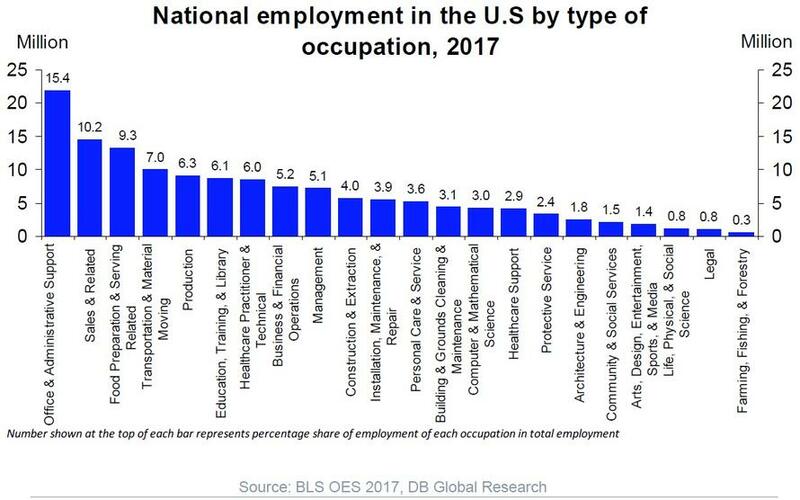 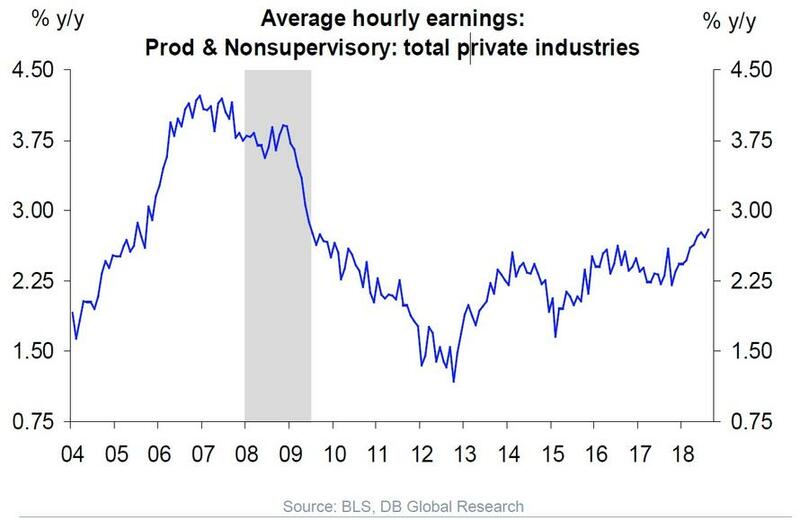 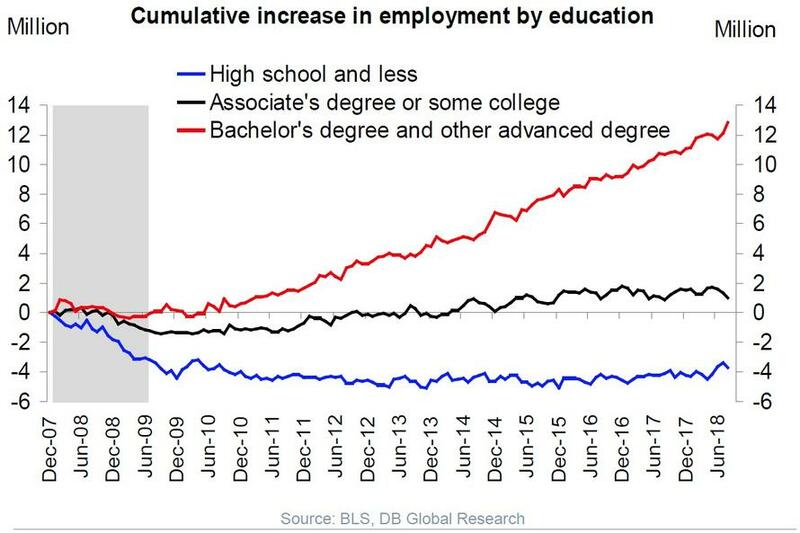 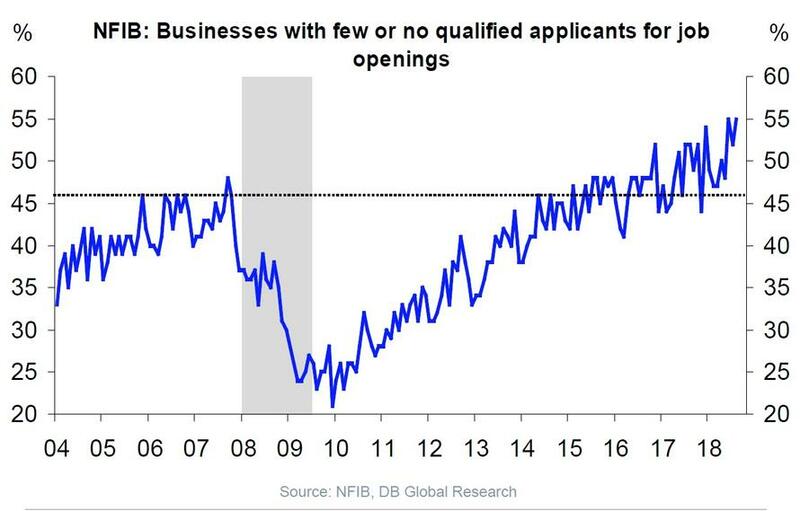 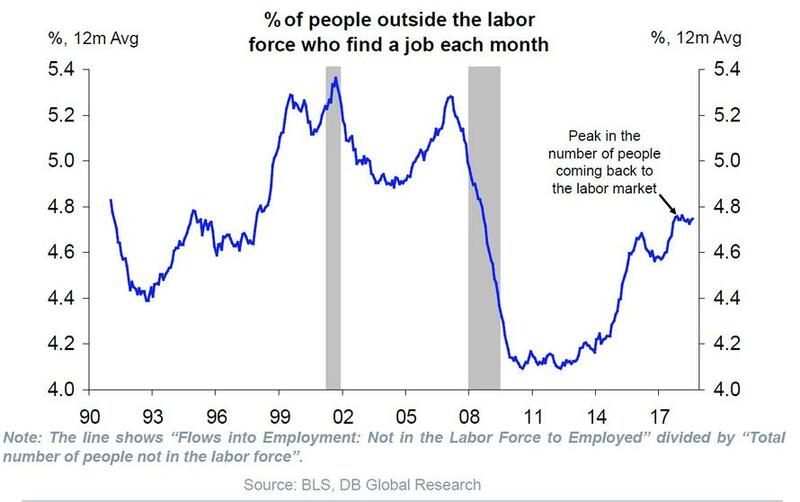 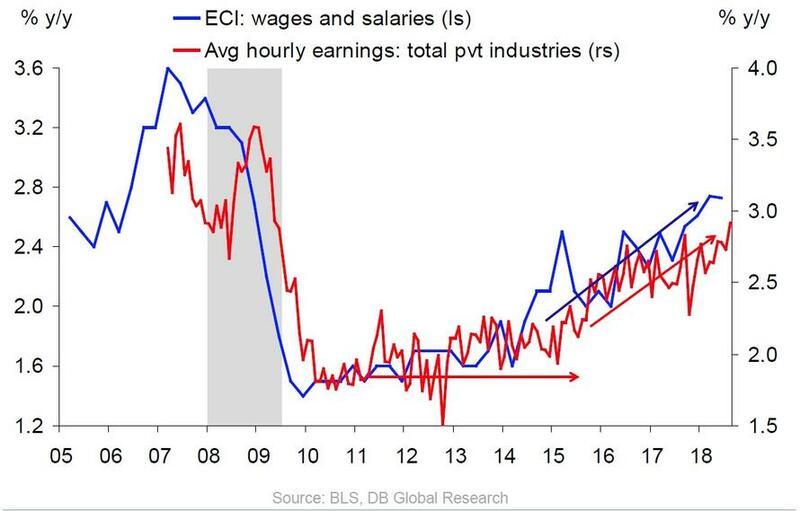 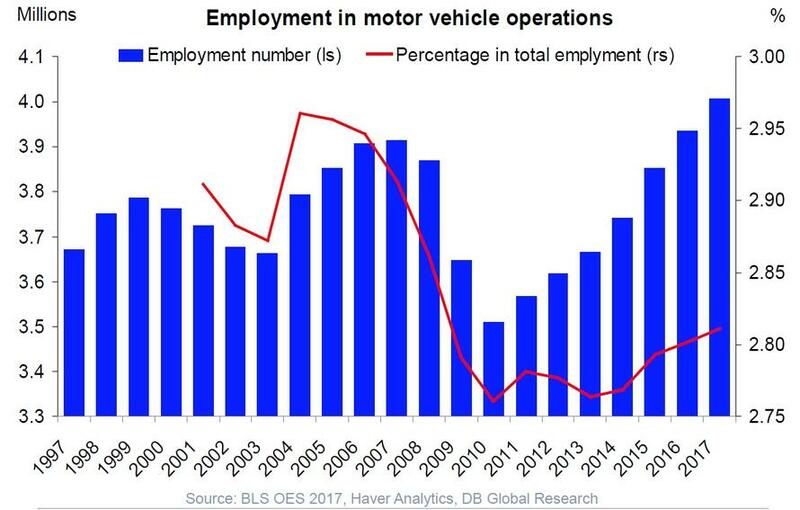 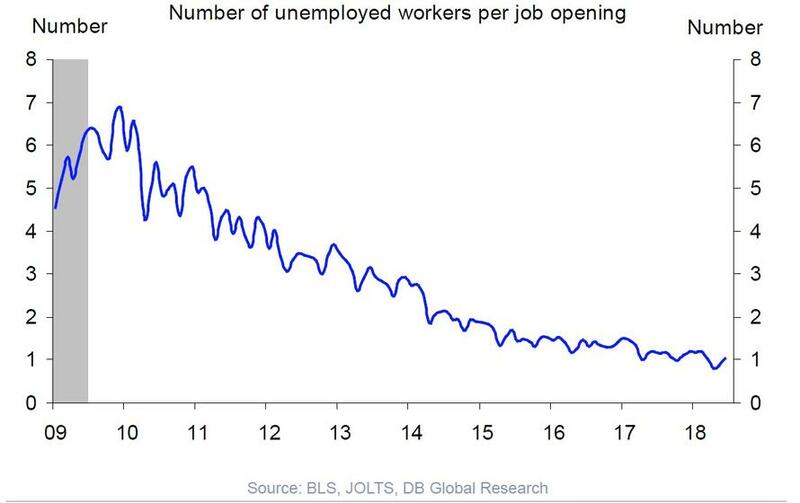 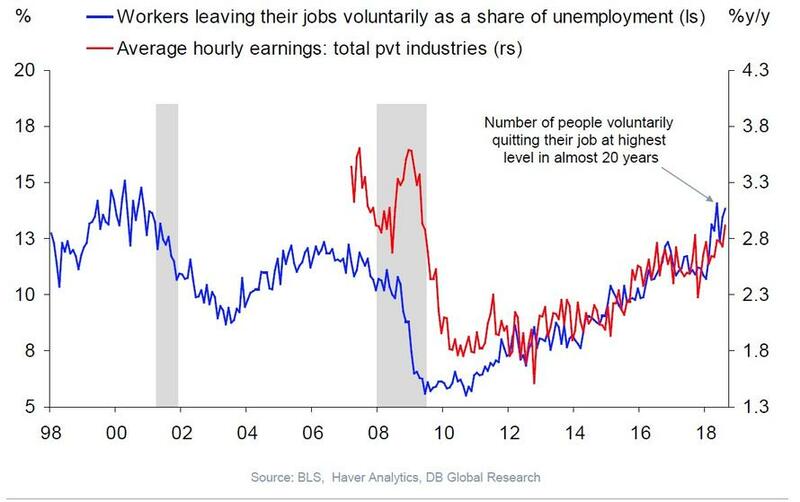 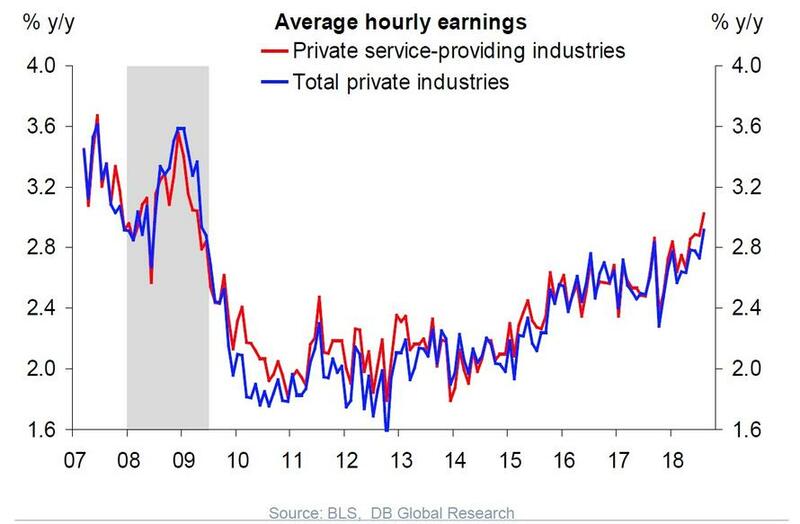 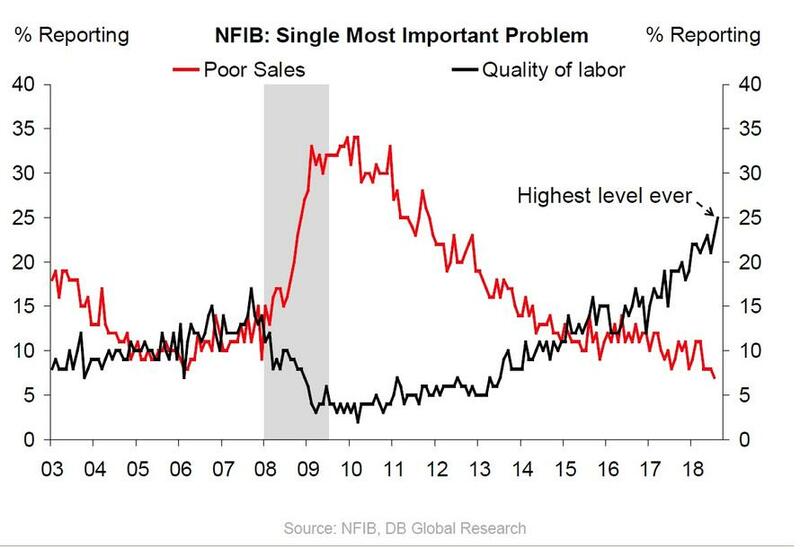 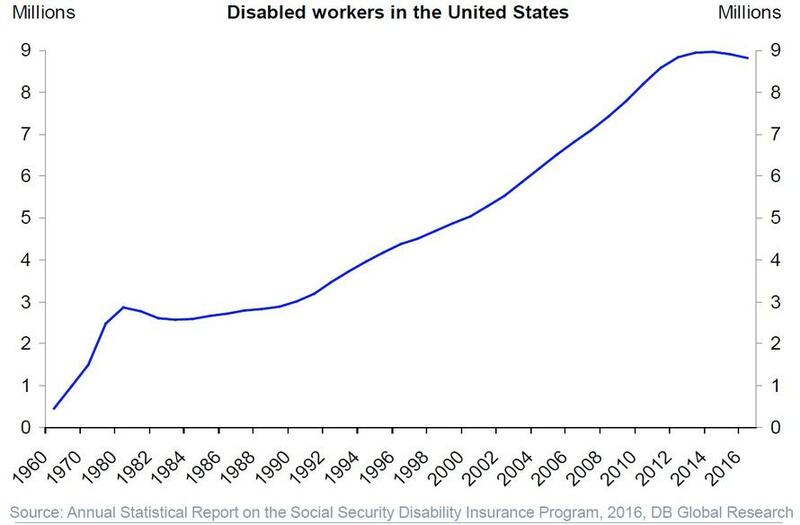 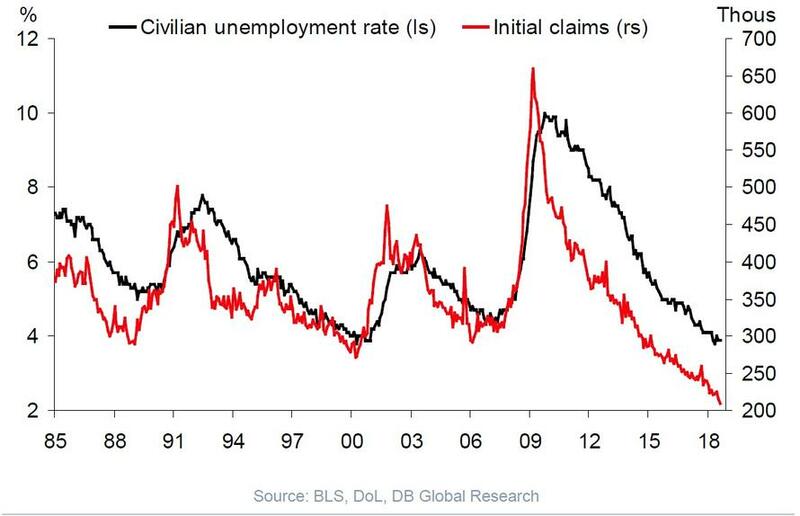 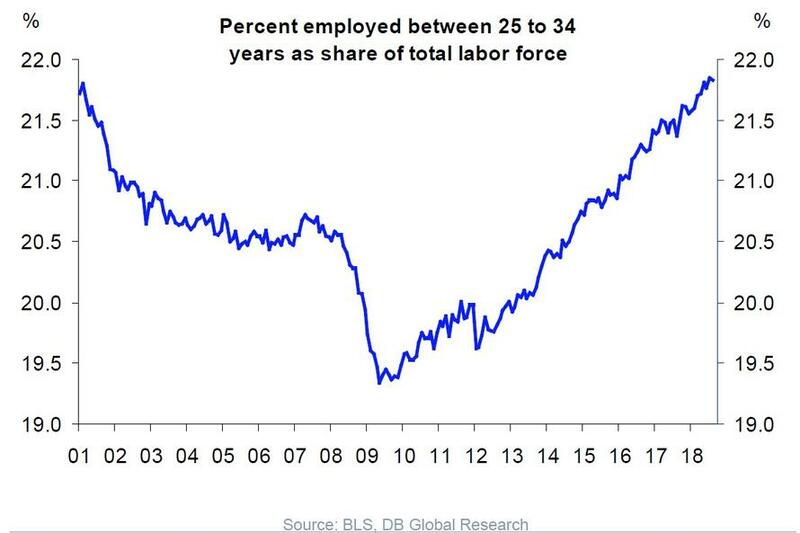 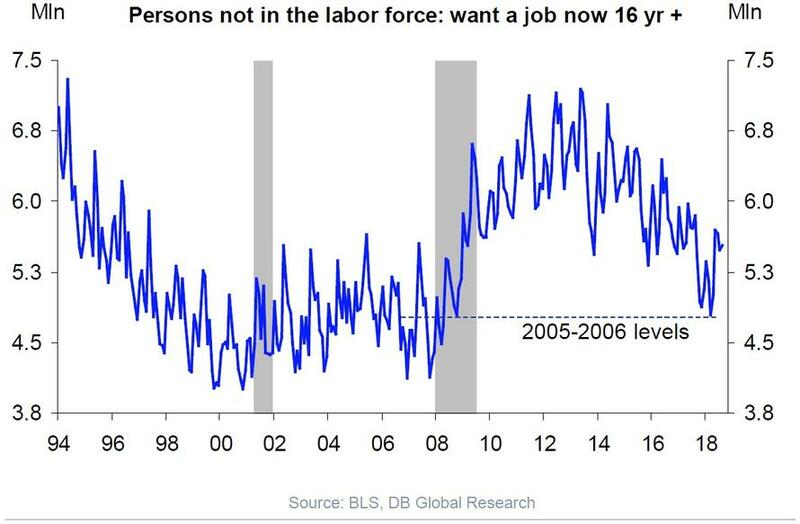 Nowhere was this demonstrated more clearly than in the latest chartpack from Deutsche Bank's Torsten Slok, who in over 100 slides of charts showed just how strong the US labor market has become. 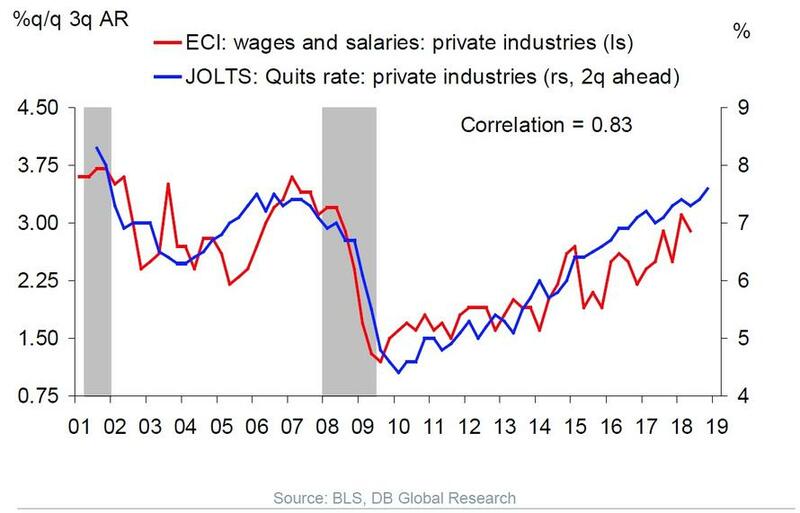 Below we have excerpted some of the most notable observations and charts from the Deutsche Bank economist.